A few ordinary guys, and their unique views on the world of sports. It’s been a long time. I haven’t written anything for A Few Good Mics since my NBA preview in October. To be honest, it’s been tough drawing any sort of inspiration for potential articles, and I was questioning how much I even wanted to continue this. But then I think about it, this is one of the things I think I’m actually kinda good at, it’s just actually getting after it and doing it is the thing. So, as one of my few new years resolutions, I’m going to write at least one thing every week. And getting back to something I tried to get off the ground once before. Here are my first Thoughts of the Week of the new year. Enjoy! When the process first started, I was skeptical on Lafleur as a candidate. Did we really want to hire the guy running the Titans offense as our head coach? But then I got to reading about him. Often talked about in the Sean McVay/Kyle Shanahan mold, the one word that jumps off the page is creativity. If there was one thing that the Packers have lacked in the last few seasons of the McCarthy era, it was creativity. I especially like the hire because it allowed them to keep on Mike Pettine as the defensive coordinator. I’m looking forward to what team has in store next season. Welcome to Green Bay, Coach LaFleur! A few weeks ago, I think most of us rightly assumed that McDaniels would be the hottest commodity of the coaching carousel. But before today’s “announcement” that he was going to stay with the Pats, McDaniels only had one interview (with the Packers). I think he burned a lot of bridges last year after what he did to the Colts, and just comes off as a jerk and a guy that can’t be trusted. I’m actually glad that he wasn’t the one that the Packers hired for that reason alone. The only thing wrong about this move is the timing. If you’re going to fire him, and if you know you’re going to fire him, why didn’t they do it before they traded Jimmy Butler? Especially when there were reports that Thibs was intentionally holding back on offers for his own job security, even though there was no realistic shot of Butler staying. Reports now say that the timing of the firing was because of an upcoming season ticket deadline? I don’t know if they should’ve just waited until the end of the season, but doing it now just seems lame. I like both of these hires. 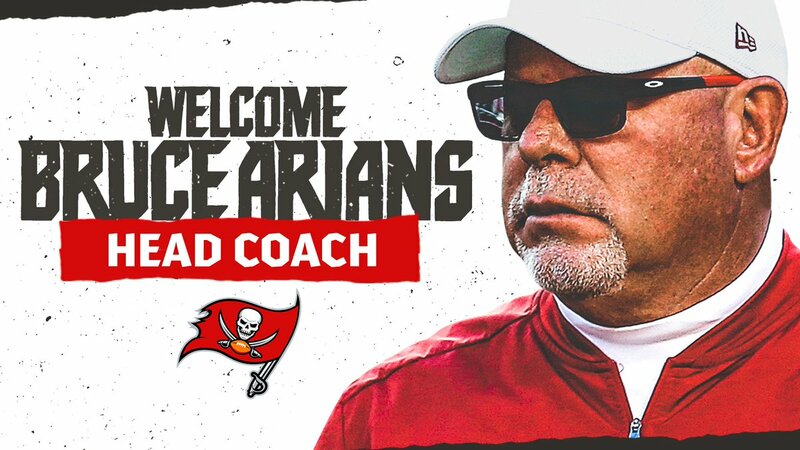 Arians is the old offensive mind that the Bucs are hoping can finally get the best out of Jameis Winston, and if it doesn’t work, he’s the kind of guy you can trust to get the next franchise quarterback. I also love the staff that Arians has around him. Bringing over Byron Leftwich and Harold Goodwin from Arizona as their offensive specialists, and Todd Bowles as the defensive coordinator. It’s an all-star staff down in Tampa Bay. As for Kingsbury, he might not have had great success at Texas Tech, but I like this idea better than old failed NFL retread like the other names that have been thrown around. And maybe a younger coach will connect better and get the best out of Josh Rosen. Big news tonight broke in the NBA. It’s that the Warriors plan to debut DeMarcus Cousins on their game January 18th against the Los Angeles Clippers. Of course, this will cause most people to freak out with their “season is over takes”, but I’m not completely sold just yet. Cousins is indeed one of the best centers in the league, if not the best, but integrating a big man in the way they like to play will be tough. And it’s a bit weird but, it might actually make the Warriors a little easier to guard. Will allow other teams to play a traditional big against the Warriors, a situation where they would normally be played off of the court because of their small ball style. I can’t wait to watch it how Steve Kerr integrates Cousins into the rotation. And there you have it! Glad to get back to writing for the new year, and I plan to continue these every week. Have any thoughts/ideas? Hit me up on Twitter @thomas_mooney1 or @AFewGoodMics.